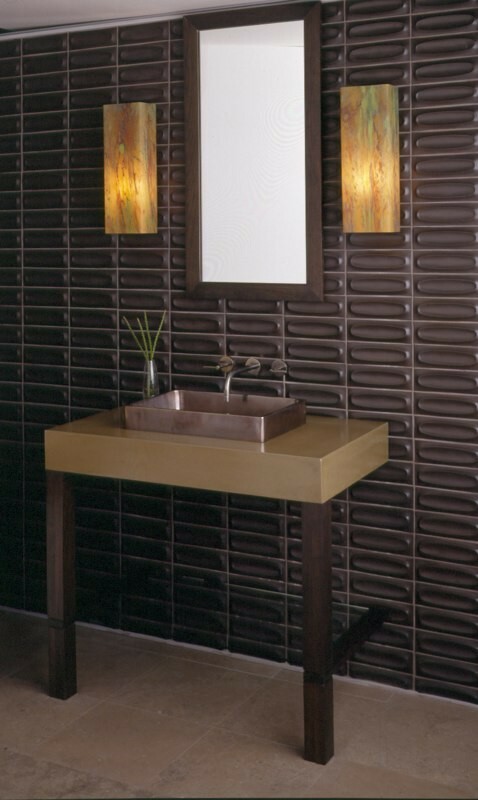 I'm repeating myself here, but I'll say it again... Powder Baths are a great place to have some fun when decorating your home. 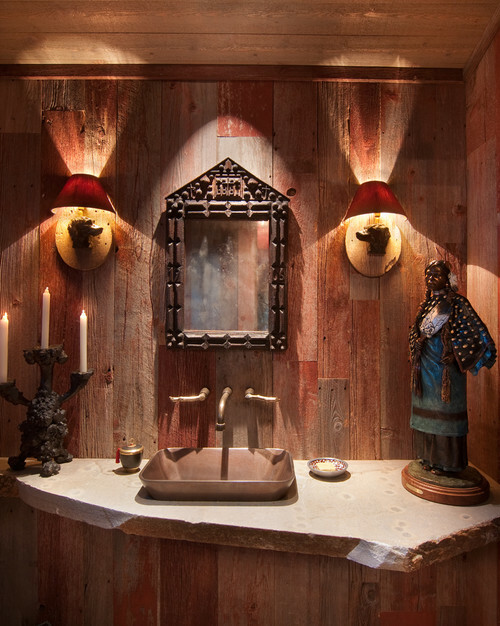 You will often hear it called "the jewel box" of the home. Maybe it's because you don't have to be as practical. You can use a fun wallpaper and not worry about the steam from your shower. 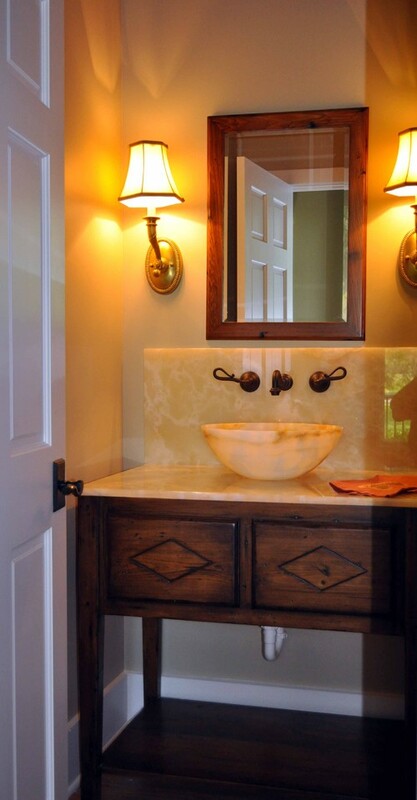 You can put in a vessel sink and not think about how the toothpaste will look smeared down the side of it. Or it could be that it's easier to afford all the fun/ expensive items because the square footage is quite a bit less than the other bathrooms in most homes. 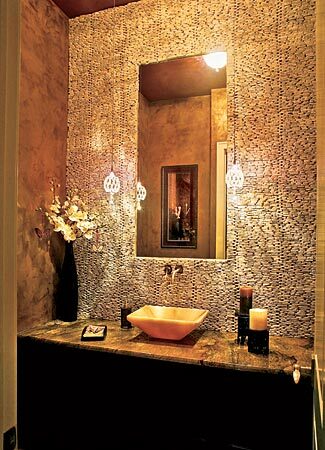 So you can afford to use a really cool tile all the way up the walls. 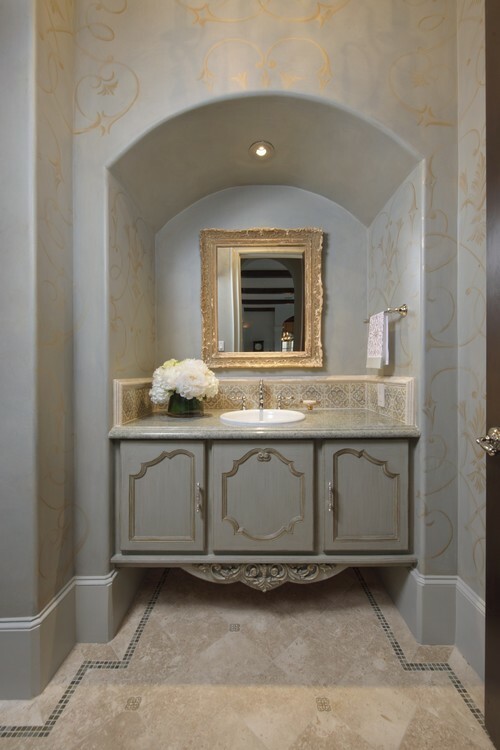 The Powder Bath is generally for guests, show your friends and family your creative side! 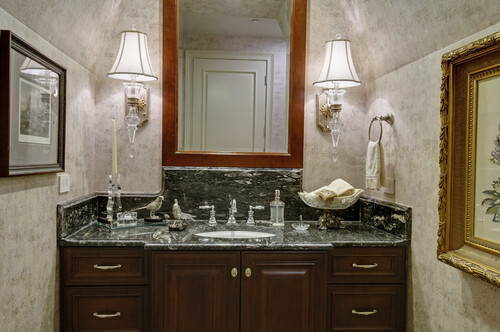 Nothing screams elegance and stylish such as granite countertop in batrooms and kitchen. Attractive and sharp ideas here at this blog keep it up.